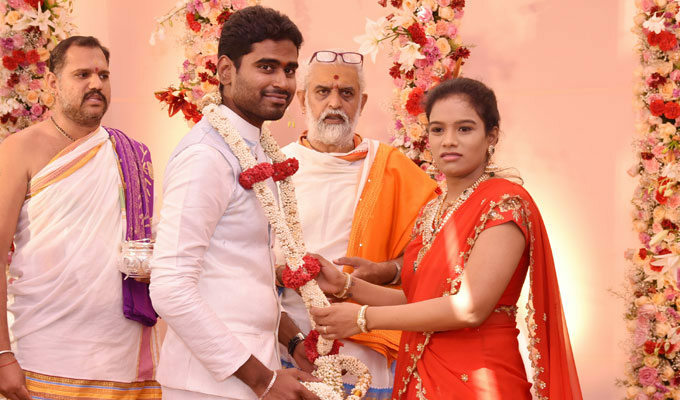 Paritala Sriram, the eldest son of slain TDP Leader Paritala Ravi and Minister Paritala Sunitha, tied the knot with Gnanavi on October 1st last year. Within just six months, Yet another wedding is going to happen in this powerful political family. On March 29th, Paritala Ravis Daughter Sneha Latha got engaged to Vadlamudi Harsha who happens to be the son of the slain TDP Leaders Sister Sailaja. The engagement ceremony took place at Venkatapuram Village. Wedding is scheduled to happen on May 6th this year.